Place it Inside the Binding or Along the Outer Edges! 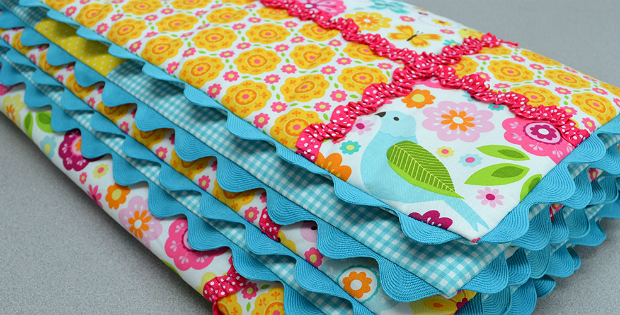 Rickrack adds such a delightful touch to quilts. And, there are so many ways to use it. One of our favorites is to add rickrack just inside of the binding or even around the outer edges for a wonderful finishing touch. 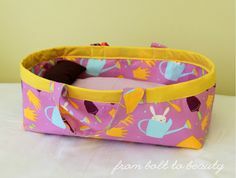 Lori Holt from Bee in My Bonnet demonstrates how to add rickrack to a standard binding (her binding tutorial is also included). This treatment is such a pretty touch and can be adapted to lace and other trim. 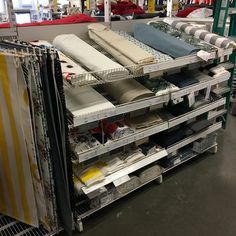 You’ll find the instructions in the following article. 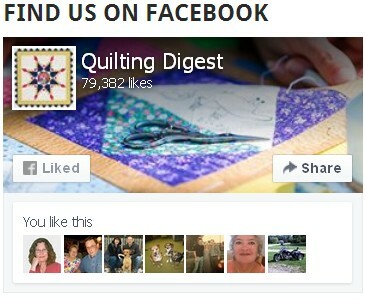 Click here for the “How to Bind a Quilt and Other Quilty Projects…” article. 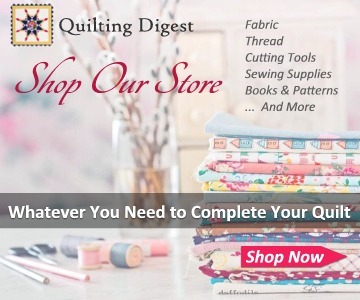 Deonn from Quiltscapes shows us how to use rickrack instead of binding to finish a quilt edge. 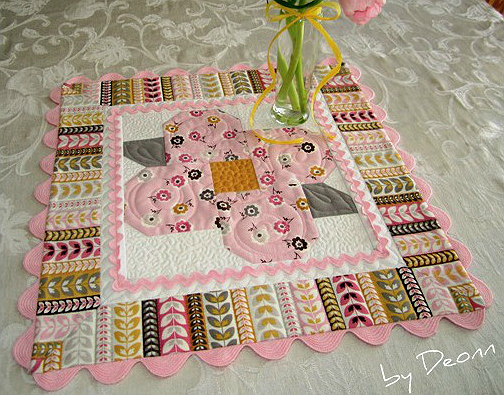 This is a wonderful way to give a quilt a little something extra. Click here for the “Fancy Finishes: Ric-Rac!” article. If you’re concerned about how to handle the corners, consider rounding the corners of the quilt. 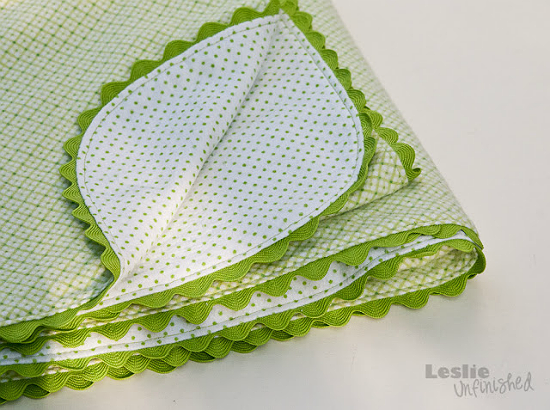 Leslie Unfinished shows us how to do that with a simple receiving blanket. 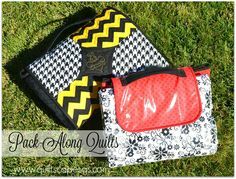 The same method can be used with a pieced quilt top. You’ll find the instructions in the article below. Click here for the “Receiving Blanket with Ric-Rac Edge” tutorial. 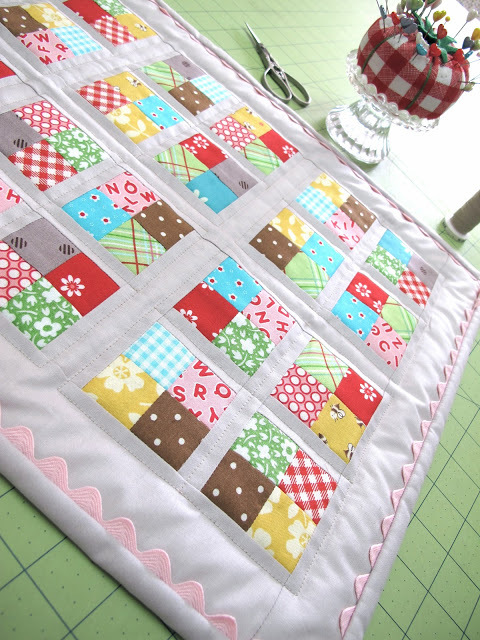 While rickrack edging is pretty on a small quilt, it’s just as lovely on a large one. 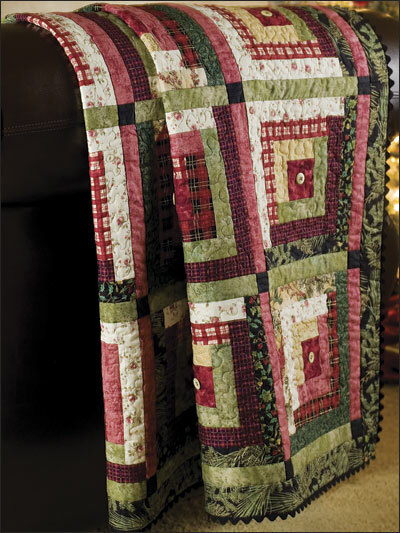 We love how it finishes the edges of this Log Cabin quilt. Learn more about this quilt here.